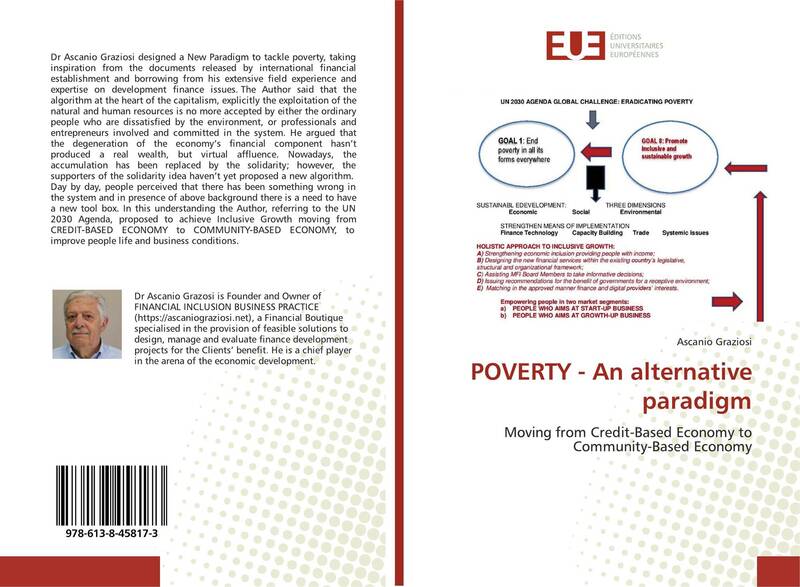 Dr Ascanio Graziosi designed a New Paradigm to tackle poverty, taking inspiration from the documents released by international financial establishment and borrowing from his extensive field experience and expertise on development finance issues. The Author said that the algorithm at the heart of the capitalism, explicitly the exploitation of the natural and human resources is no more accepted by either the ordinary people who are dissatisfied by the environment, or professionals and entrepreneurs involved and committed in the system. He argued that the degeneration of the economy’s financial component hasn’t produced a real wealth, but virtual affluence. Nowadays, the accumulation has been replaced by the solidarity; however, the supporters of the solidarity idea haven’t yet proposed a new algorithm. Day by day, people perceived that there has been something wrong in the system and in presence of above background there is a need to have a new tool box. In this understanding the Author, referring to the UN 2030 Agenda, proposed to achieve Inclusive Growth moving from CREDIT-BASED ECONOMY to COMMUNITY-BASED ECONOMY, to improve people life and business conditions.